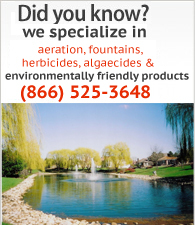 Natural Pond Management - Lake and Pond Solutions, Co.
Pond Dye – food grade pond dye helps to limit sunlight penetration and improve pond color. There are many diffent shades of dye but blue and black are the most common. Not all dyes are created equal though! Some dyes contain blue and yellow which results in a turquoise color while others contain only blue resulting in a darker blue color. Black dye is great for muddy ponds where blue dye would make it look like a “tidy bowl”. There are even new shades of dye combining blue and black. Nutrient and Sediment Reduction – this is a very broad category that covers a number of products. 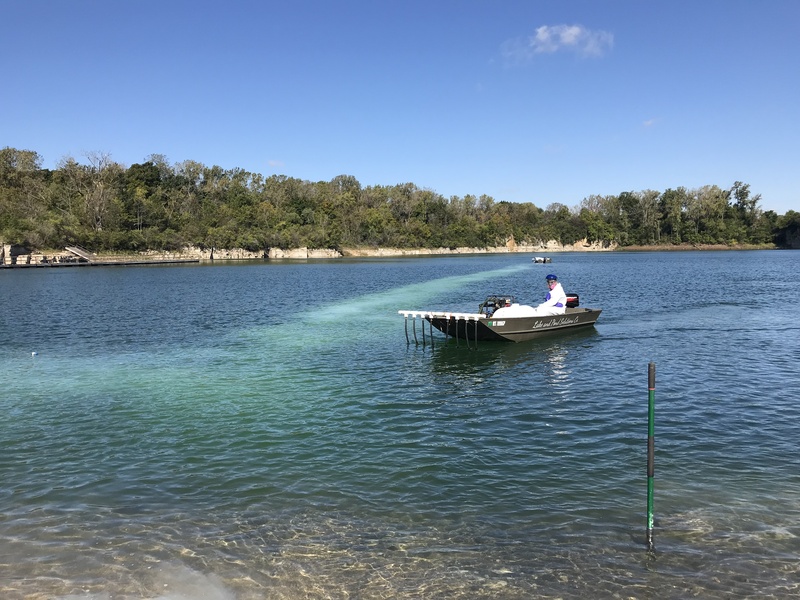 D. Aluminum sulfate/Phoslock – dry aluminum sulfate (commonly referred to as alum) is slurried and applied over the surface of the pond to reduce phosphorus and suspended sediments. Another product, Alum Plus, is a liquid suited for delivery using our automated metering system. Phoslock is different than both alum products in that the bond with phosphorus is more permanent. 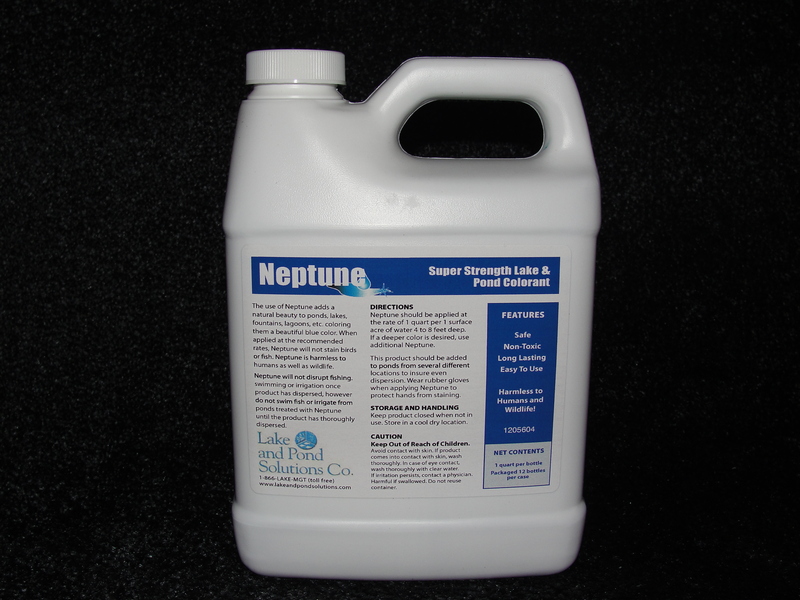 It also can continually bind incoming nutrients from the pond bottom long after application. Phoslock is effective on whole pond applications or by targeting shorelines early in the season. LPS provides sales, installation, and application for all products. 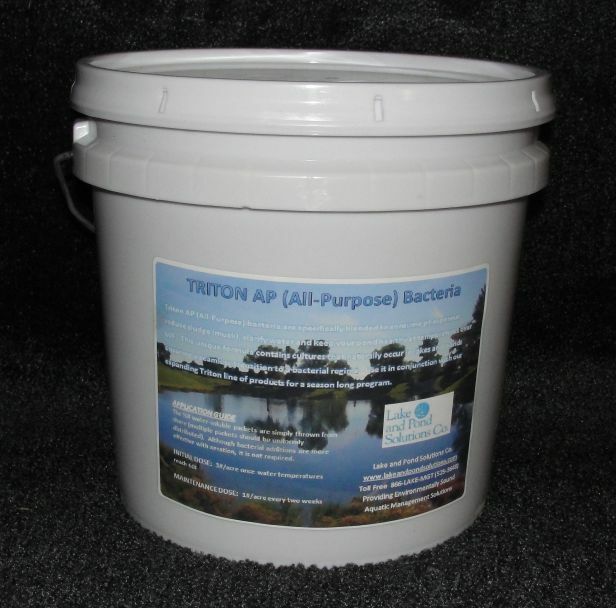 Targeted Muck Reduction with Triton SRP (Sludge Reduction Pellets) Study looking at the effect of targeted Triton SRP applications on a large stormwater pond in 2016.